Ohyunuma steam pond at the Rankoshi Cho Koryusokushin Center Yukichichibu has flowers floating in it! 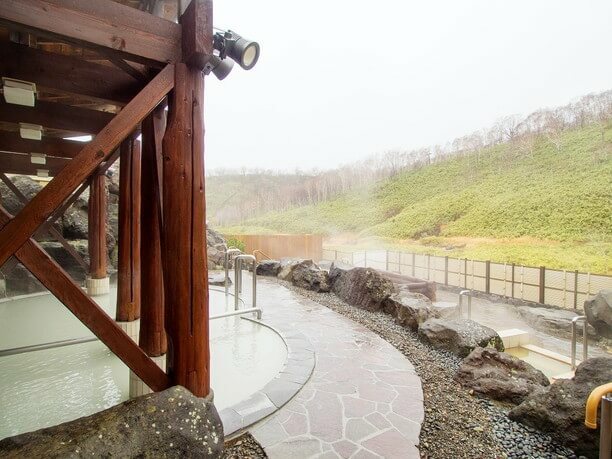 Yukichichibu hot springs （ゆきちちぶ温泉) are popular with fans across the country as well in Hokkaido. This aging facility but was rebuilt and reopened in 9/2015. It reopened as a one-day-only facility. 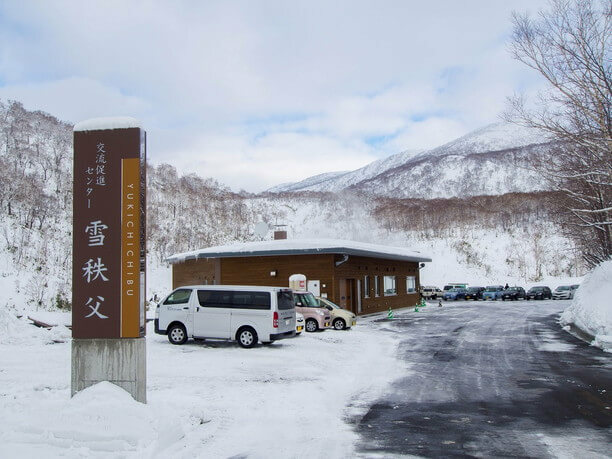 From the JR Niseko station via 66 Hwy (panoramic line) it is 20 minutes by car. Go to Iwanai district (about 10 miles away), and pass the small plateau (1800 feet above sea level). In summer buses run from the JR Niseko station. Ohyunuma is located next to the hotel. The area’s named was derived from the Chichibu Princes youth officer, who in 1928 visited the area on skis. 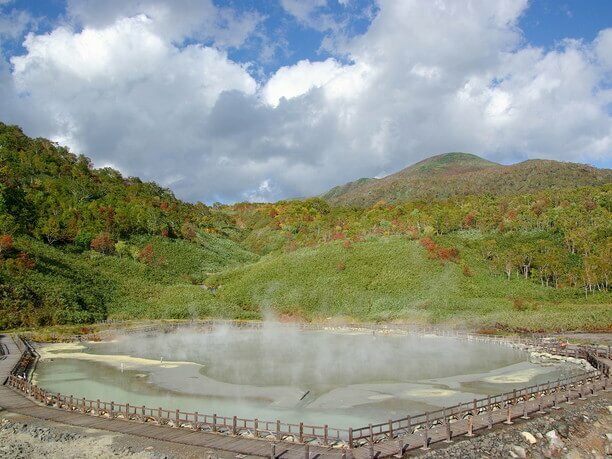 The smell of sulfur from the oyunuma pond gets you in the mood for a good soak! As you near the facility, the wafting smell of sulfur gets you in the mood for a good soak! Once you take off your footwear at the door, proceed toward the back of the facility. There is a wheelchair ramp for easy accessibility. The facility has a disabled-friendly design! Vending machines are placed at the front of the shop. Rankoshi-Cho,food products such as rice, pickled products and rice snacks are also available. 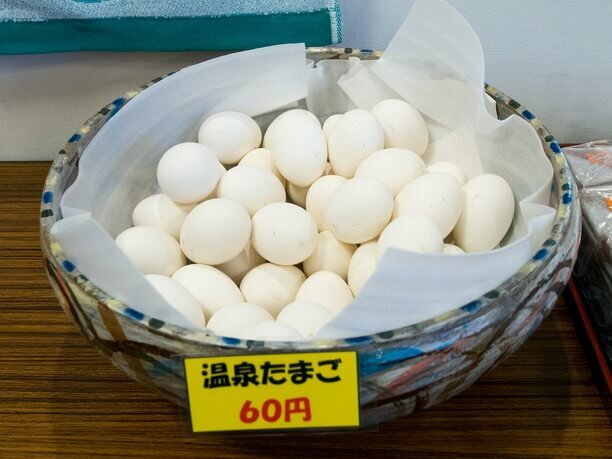 You can buy hard boiled eggs for 60 yen. As you get off the elevator on the basement floor there is a wheelchair accessible bathroom. In the hallway next to the stairs, there are valuables lockers which are available for 100 yen that is refunded when you return your key. There are no lockers available in the dressing room so before going to the baths, items such as your wallet should be placed here. 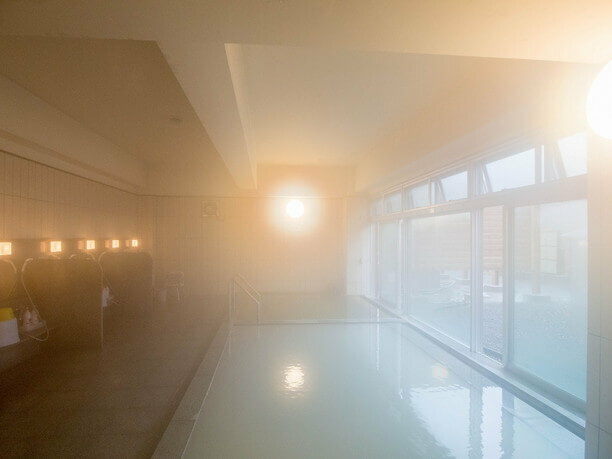 There are 2 types baths to enjoy: sulfur and iron! There 2 types of baths. One has iron ore and the other is a simple sulfur bath. The sulfur bath is hot grayish water and will turn the skin white. The Iron springs are brown and this environmentally friendly hot water warms you up well. The men’s side has 2 inside tubs, one of sulfur and one of iron. No additional water or heating source is required. It has a spacious and bright bathroom. The open-air part of the Men’s side has 2 more pools. One made of cedar and one made of rock. The therapeutic effects of taking a hot spring bath are enhanced by the view. In the Winter, you can enjoy the view of snow covered hills. From spring to Summer you will enjoy the greens of the forest. And in the Autumn the colored leaves are beautiful. “Mud Packs” are available only on the ladie’s side! The ladie’s side also has one sulfur and one iron bath. Their building is also spacious and bright. There are 5 outer baths on the women’s side. One of sulfur, one with iron, a mud bath, a rock bath and cedar bath tub. Women really enjoy the mud bath. They can cover their whole body or just their face. The mud has a smoothing effect on the skin! After your bath, you can enjoy the relaxing space and dining room! In addition to the snacks in the vending machines you can enjoy soba, udon, curry, or a pork meal in the dining room (open from 11:00 a.m. to 2:00 p.m.). The dining room has large windows overlooking the ponds. 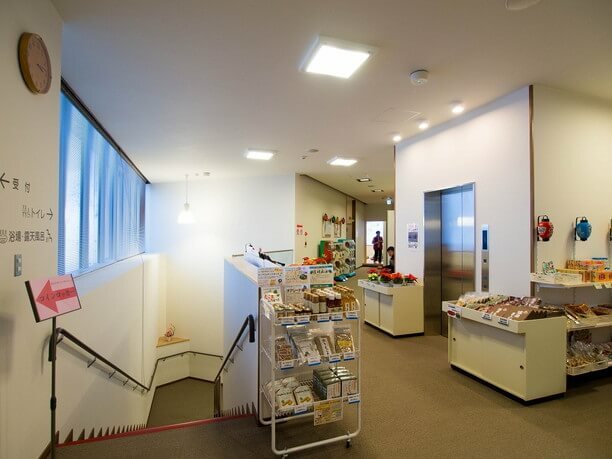 In addition there is a 50 tatami mats size (800 square feet) relaxing room located on the first floor. Massage chairs are available. Overall the place is much brighter than before the renovation. With its wide windows and open-air baths, this one-day-only facility has been transformed into a comfortable space. 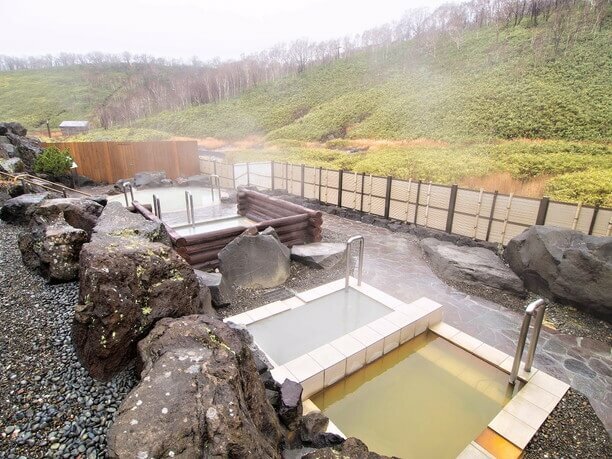 Of course, its reputation for having good hot spring water remains unchanged. They offer hot water from two different springs, sulfur and iron. Both are sure to give you smooth skin after a bath! In their attractive and expansive open-air baths you will enjoy the changing seasons throughout the year. 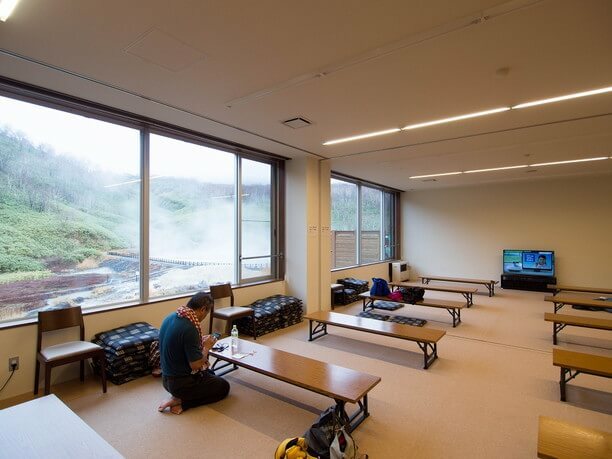 You can use your "Niseko water excursion pass" (1440 yen) for admission. The pass is good for 3 visits. The pass can be purchased directly at the facility. The women’s side has a particularly nice sense of esthetics. The mud packs smooth the skin and after the smell of sulfur remains in the body, then a mild finish with the iron spring! 10:00a.m. to 9:00p.m. (last admission 8:00p.m.) 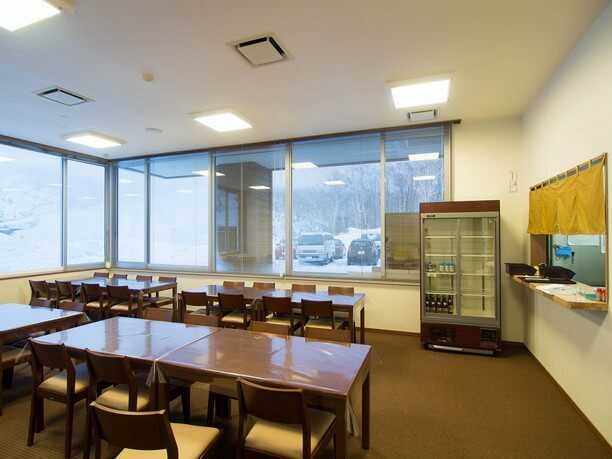 Dining room is open 11:00 a.m to 2:00 p.m.
Kanro No Mori Hotel is hidden away in the Forest! 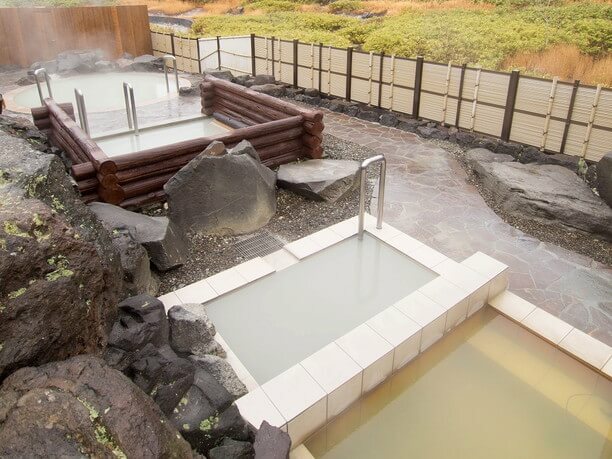 6 recommended Sapporo healing spas! 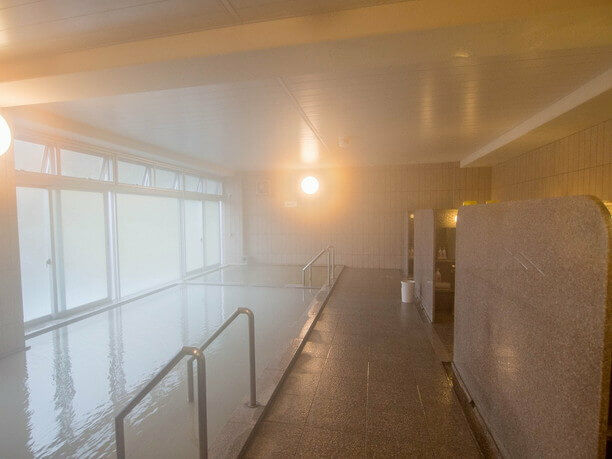 Tokyo has public baths open 22 hours a day! They are a great place to relax both physically and mentally!